* The Side was actually formed in 1968, but first danced out at Easter 1969. Our Family Weekend, 7th, 8th, 9th June 2019. Preparations are under way for this our 48th Family Weekend. Details of the weekend will be sent to invited Sides in due course. Other details may also be published on our Facebook page so please check back regularly. Thanks. Please note that the timing of all our events is subject to change and to weather conditions. The Forest of Dean Schools Country Dancing Festival. This ever popular event has been taking place in the Forest for very many years when local primary schools take part in massed performances of traditional country dances. The event has in recent years been held at Speech House field, a wonderful woodland setting early on Summer evening. 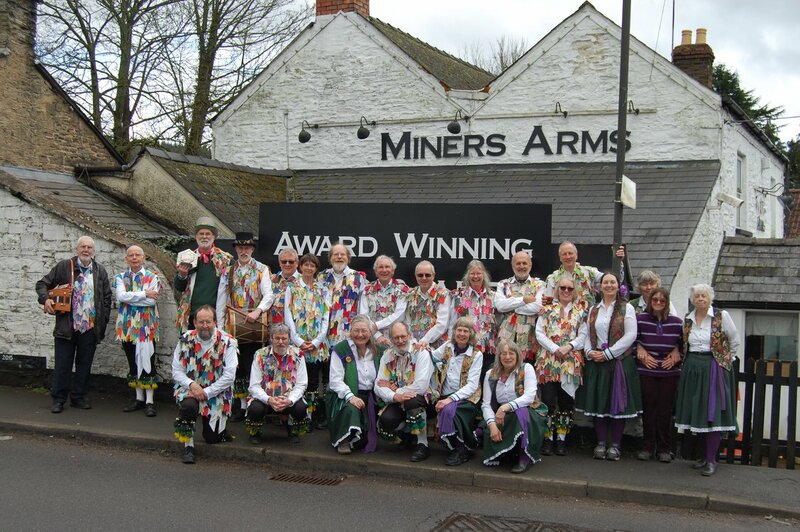 Last year for the first time the Forest of Dean Morris Men were able to help with ‘teaching the teachers’ a local Morris dance, ‘Soldiers Joy’, from the village of Ruardean. The teachers taught the dance to their school team and it was performed at the Festival. Some schools enjoyed it so much that they chose to dance it on other occasions too! Many thanks to our Foreman Kim Berry for taking and editing the video. Easter Monday Tour! 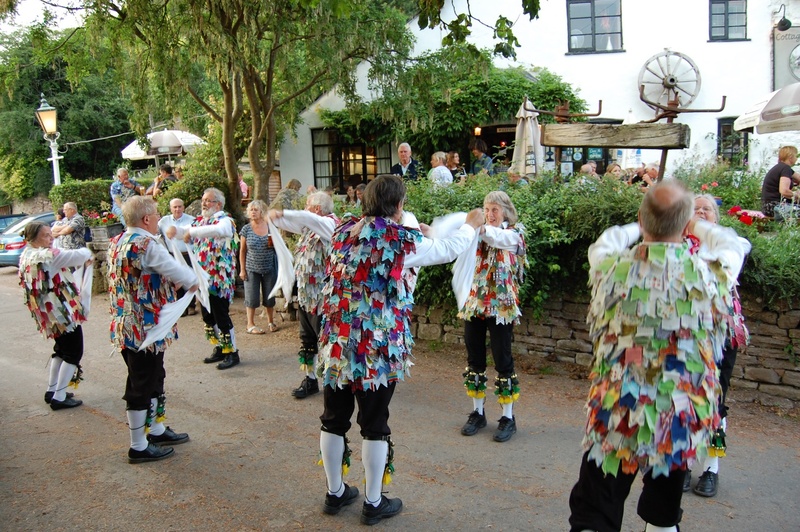 As usual we will be doing a local tour on Easter Monday with our friends Wimberry Clog.